The other day I was feeling very creative and crafty. I didn't really have a plan of what to do because my mindset is always "just wing it!" 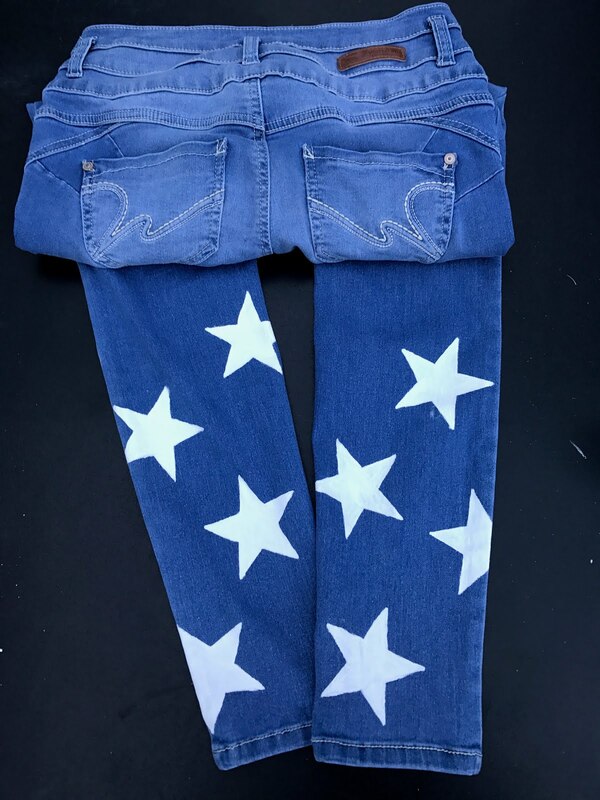 I pulled out all of my fabric acrylic paints and brushes, grabbed a pair of high waisted jeans I had from WallFlower, and headed outside. I love starry things and fun jeans so why not combine the two?! 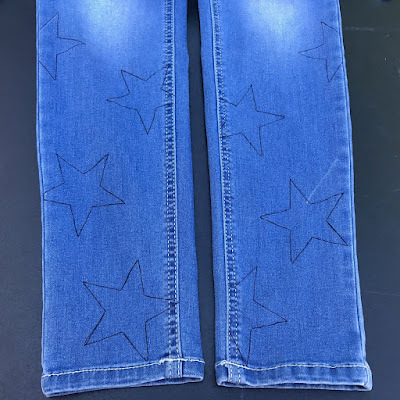 Making a pair of star print jeans is a super easy DIY if you get a surge of creativity one day. They're simple enough to still wear in everyday looks but fun and trendy as well. You'll need a pair of jeans (obviously), acrylic fabric paint of your choice, painter's tape, a sponge brush or I actually ended up using a tiny painting brush to be able to get the points and edges, some kind of thin marker for tracing, and your stencil. 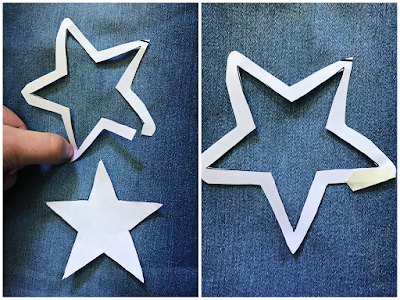 If you don't already have a stencil of a star or whatever shape you want, just print an outline of it from Google. Cut around the shape with extra space (not on the line) and then go into the shape and cut on the line. Close the end together with some tape and you got a stencil! 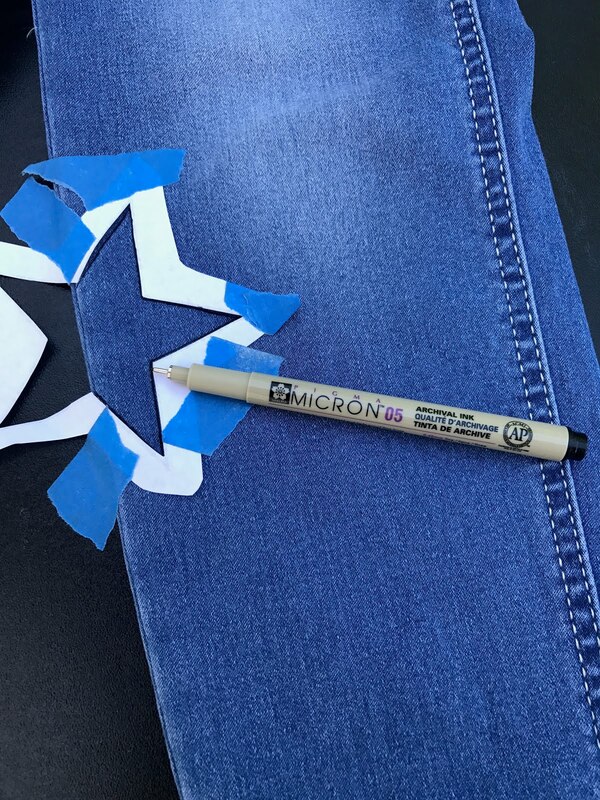 Start by taping down your stencil to one spot and trace the shape with your marker. Slowly lift up the tape to make sure you don't rip the paper, and repeat in all the places you want a star. I started by doing 4 on each leg front and back but when I tried them on I wanted the stars to go higher so I added 3 more up the sides on the fronts. 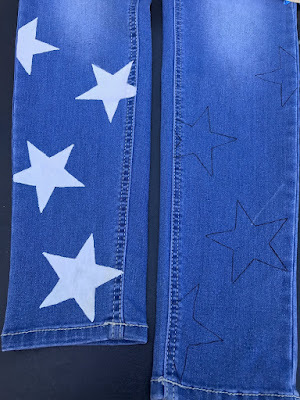 Start filling in all those stars with your paint! I put it on thin and then went over it a second time once it all dried. I found out the hard way that even that might have been too heavy because the next day it started cracking. 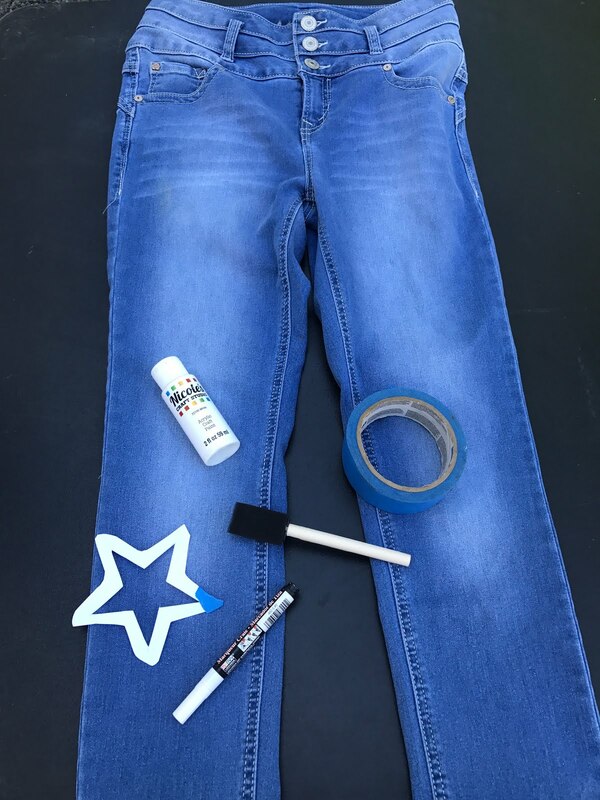 Don't stress if the paint does crack because if it peels off, the fabric is still dyed with the paint underneath. Also, the cracking kind of adds a distressed look which I like! 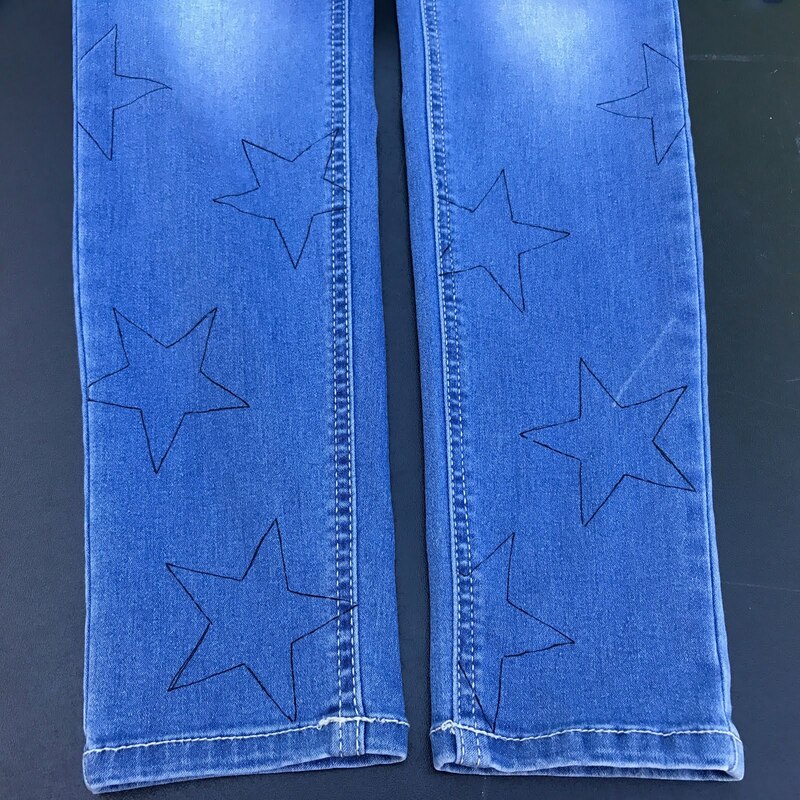 I imagined a white star on one of the back pockets but then realized my jeans already had these stitch designs on the pockets. I filled in the lines with paint because why not? It makes the pockets look a little bolder and brighter! Let me know if you have done this DIY before or if you try it out!